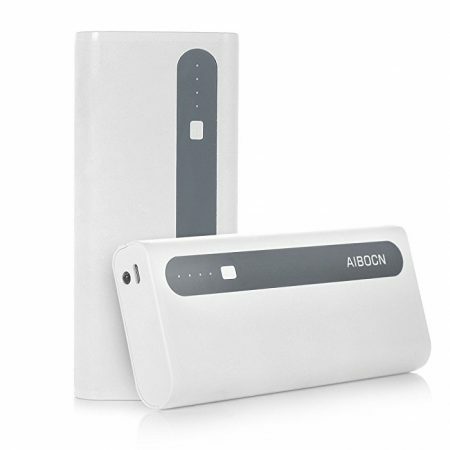 This Huge Capacity Power Bank has a stylish and neat design, dual USB ports for charging your USB devices effortlessly. Fast Charging Technology: Dual USB ports, 4.2A total output for maximum(2.1A per port), allows you to charge two smartphones or tablets simultaneously. 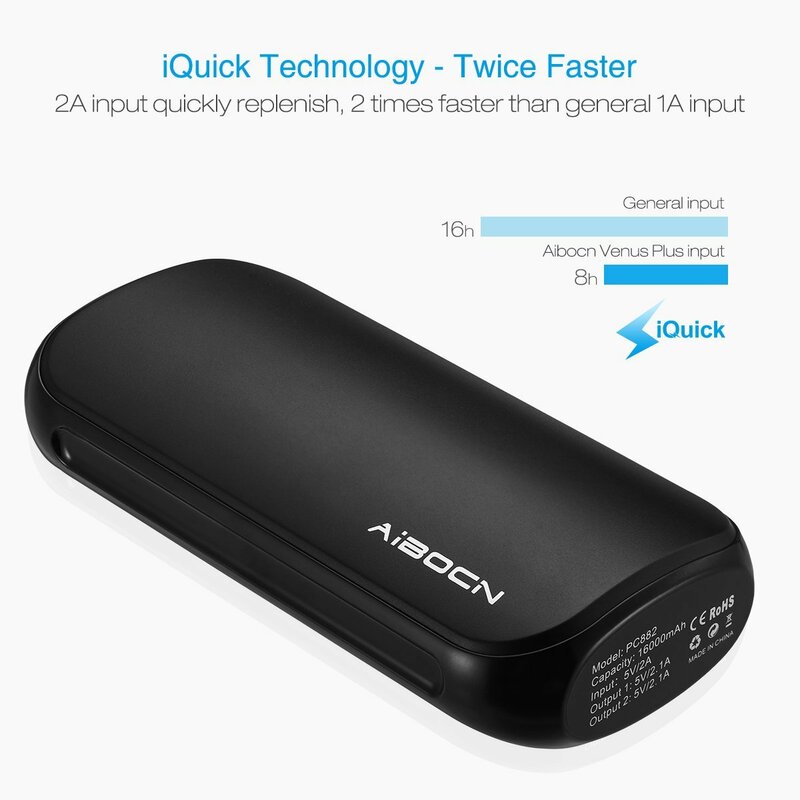 Quick Input Port: The power bank has a 2.0A quick input port. 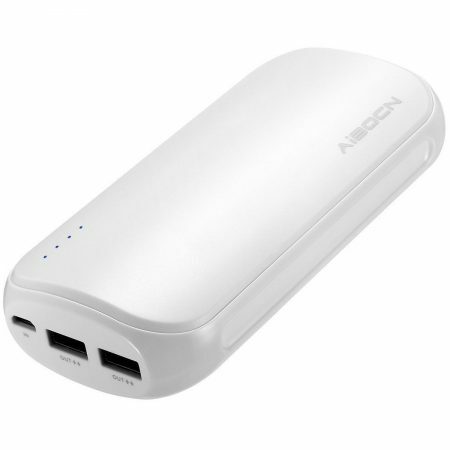 You can charge it fully within a short time. 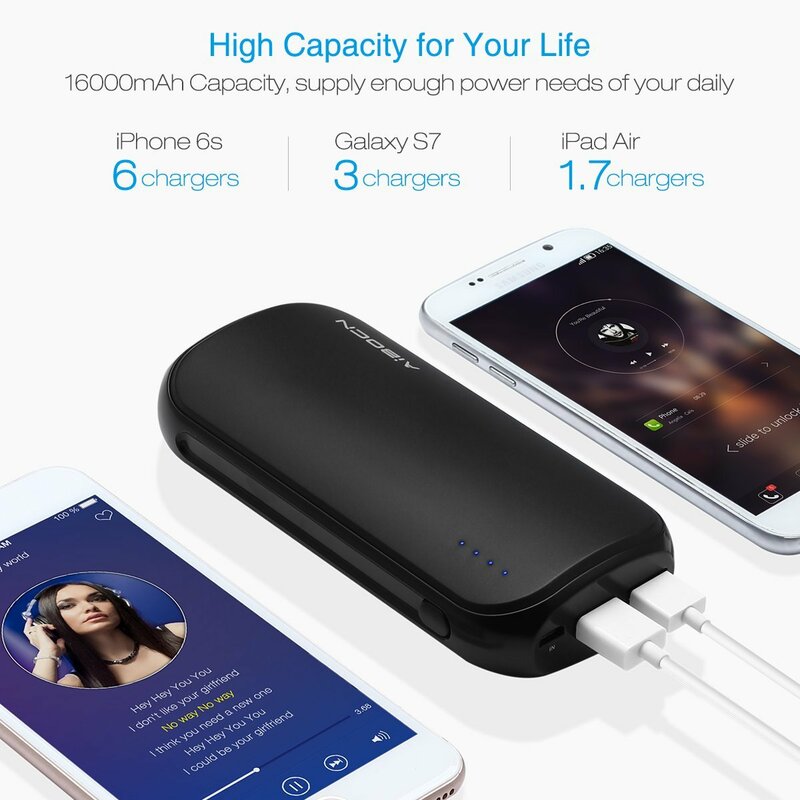 High Capacity: The high capacity portable charger has a built-in 16000mAh high capacity Lithium battery. 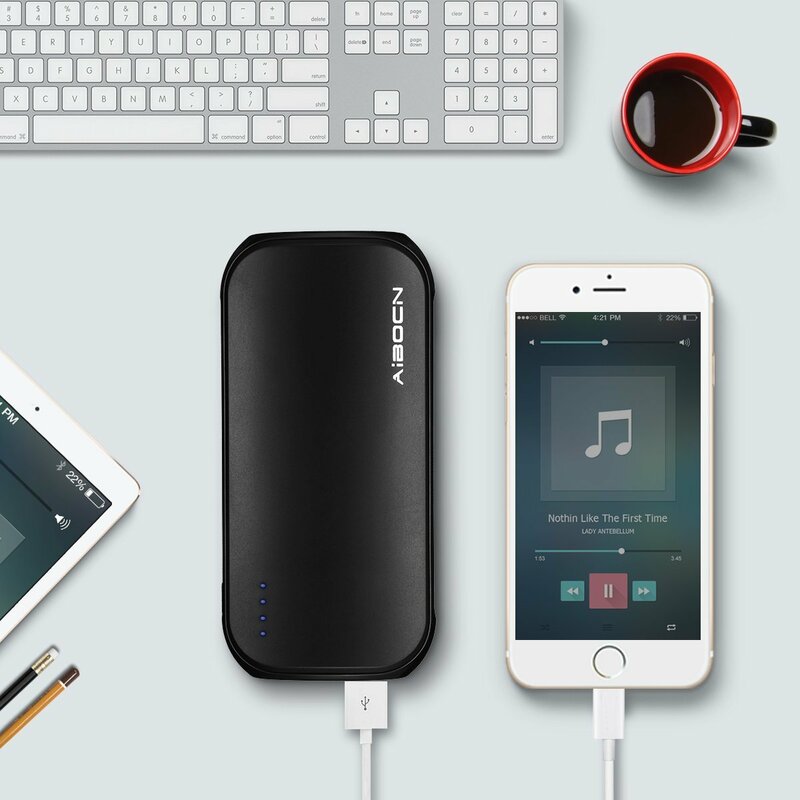 Large Amount of Power: It can hold a few charges for your devices, about 5 charges for an iPhone 7, or 3 charges for a Galaxy S7. 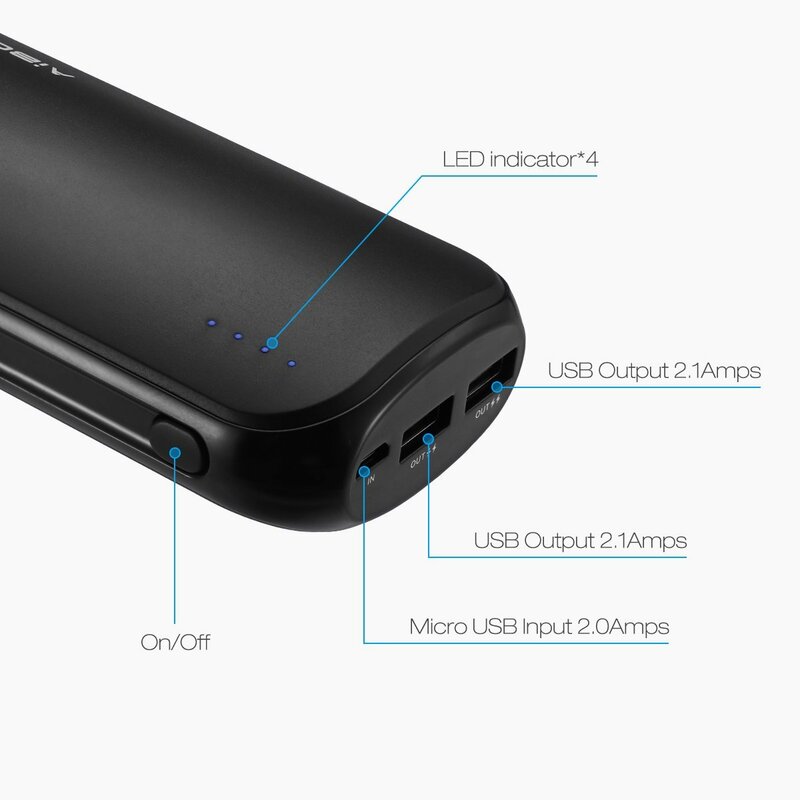 Portable Design: The compact power bank is designed to be small in size. You can carry it around during your travels, trips and outdoor activities. 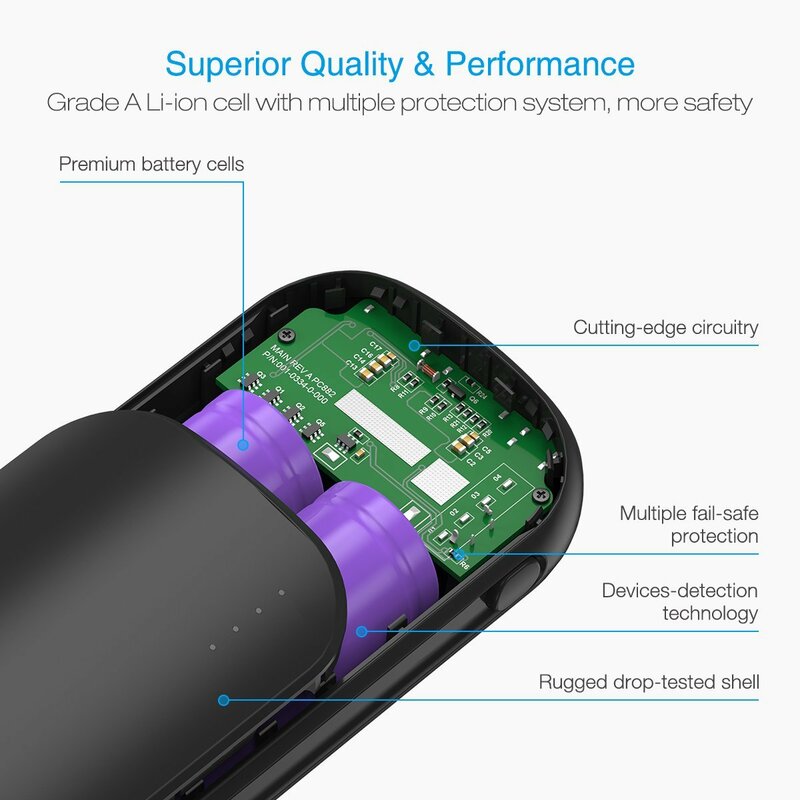 Protection: You enjoy absolute safety using this power bank. The intelligent protection system fully prevent overload, over heat and short circuit. 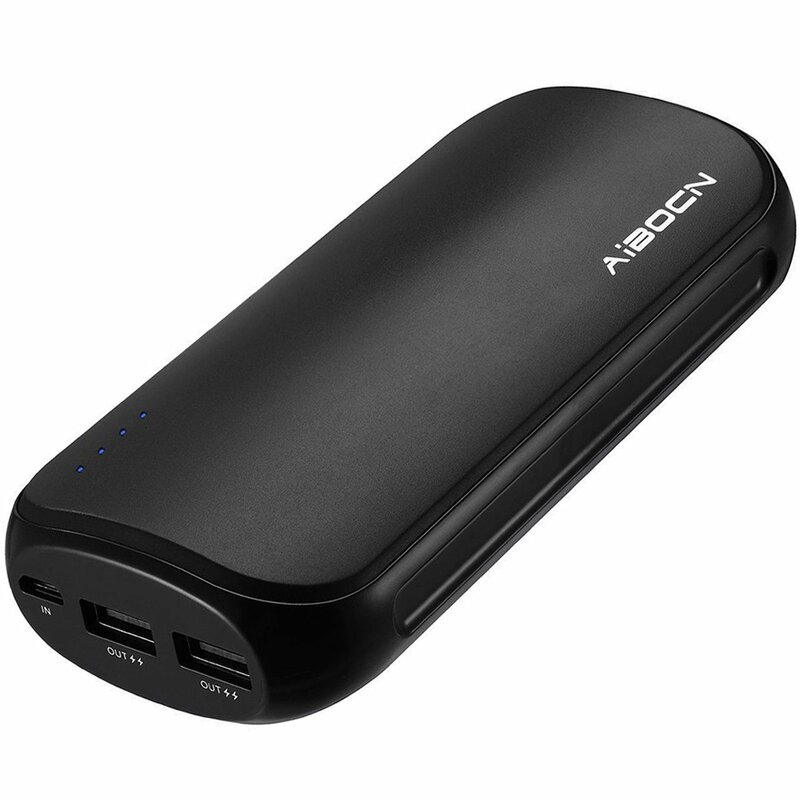 With 4.2 Amps in total for maximum output current, this high capacity power bank allows you to charge two cellphones or tablets simultaneously at its fastest speed. It has quick input design, 5V 2.0A input, which is twice as fast as standard 1.0A input. 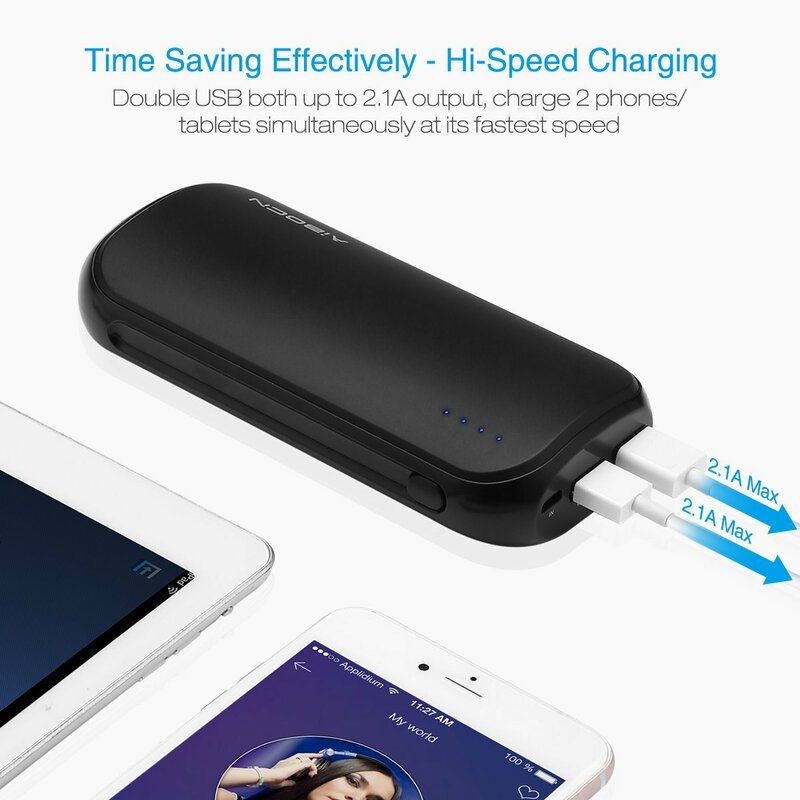 This black portable charger backup battery greatly saves your time charging the charger itself and your devices. 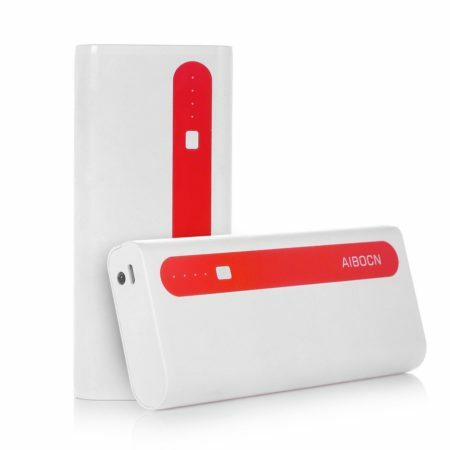 This 16000mAh power bank has intelligent protection system against over charge, over discharge, over voltage, over current, short circuit and other issues. 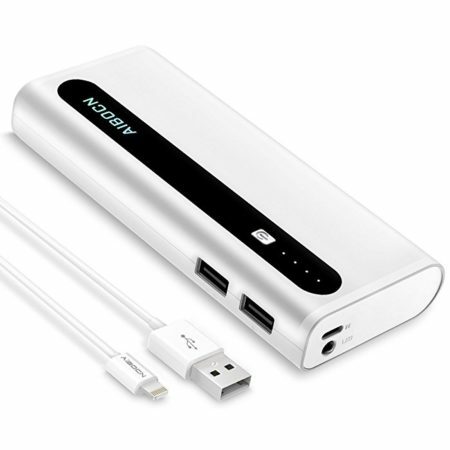 It will automatically turn itself off for self protection when overloading or short circuit accurs during charging. Kind reminder: Use the included cable, your original cable or a third-party certified one (such as MFi). Compatible with most popular smart phones, e.g. smart phones from Apple, Samsung, Google, HTC, Nokia, LG etc. Compatible with most popular tablet, e.g. iPad, Kindle, Samsung Galaxy, Google Nexus 7 etc.